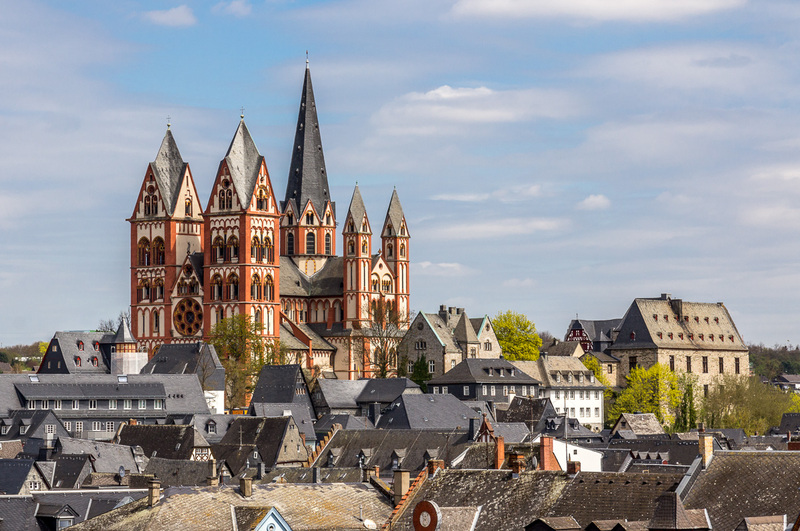 "With its multiple towers and hilltop site overlooking a river, the Limburger Dom looks like a Romantic castle. 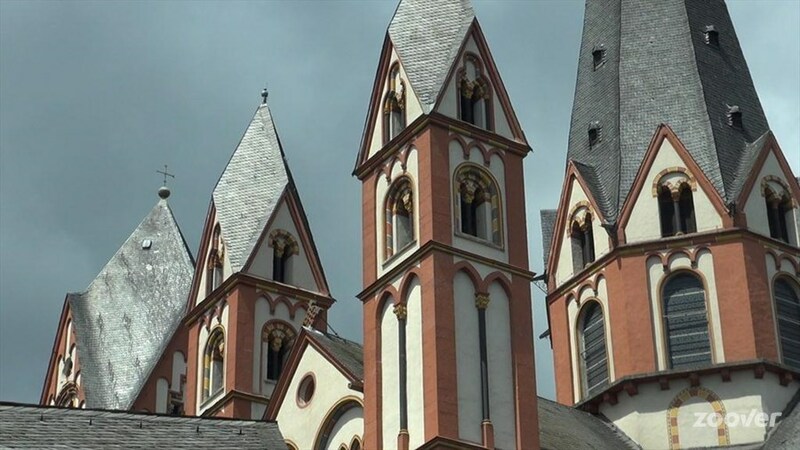 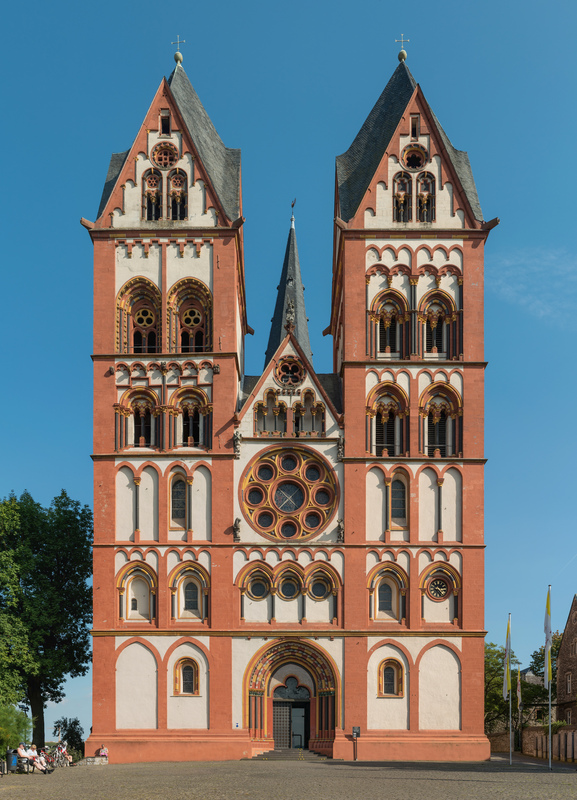 Located at the top of the attractive city of Limburg an der Lahn in the Rhineland, the painted church was built in the 13th century and only became a cathedral in 1827". 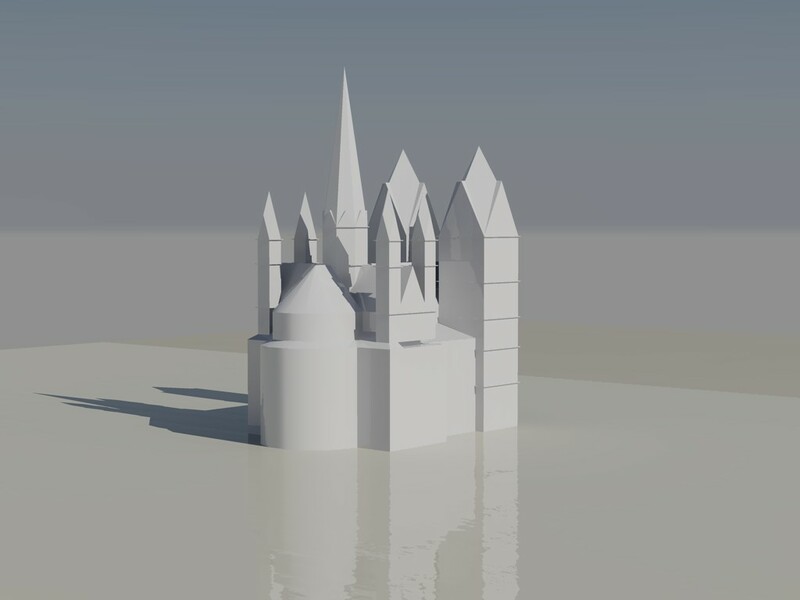 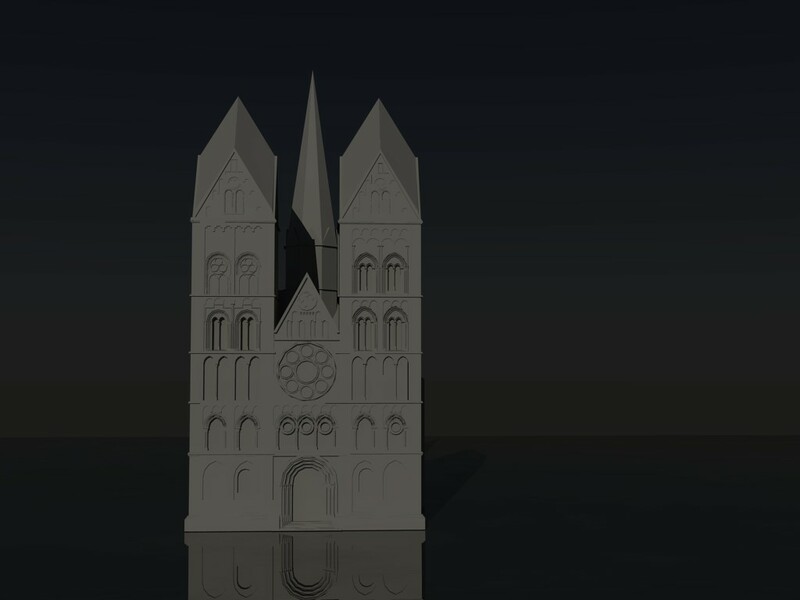 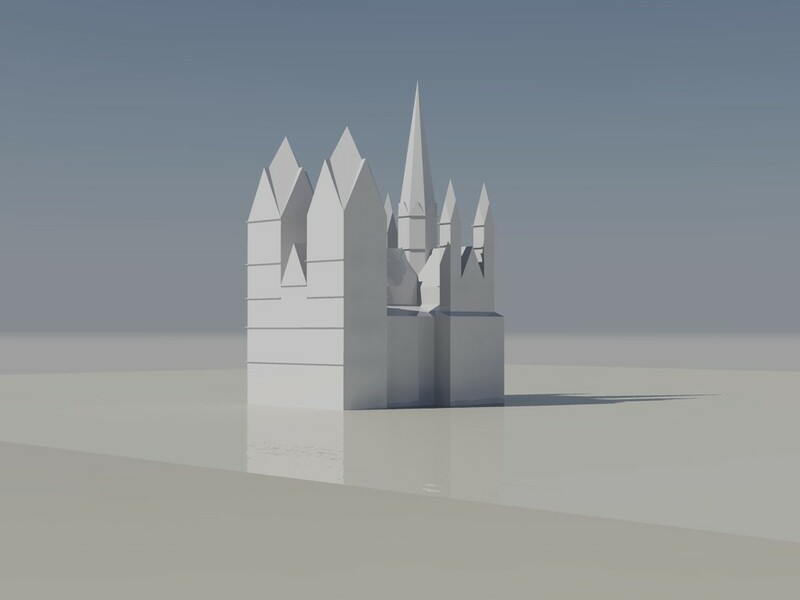 - When I discovered this cathedral I was shocked by the beauty of its shapes and this is the reason Why I decide to do its 3D model. 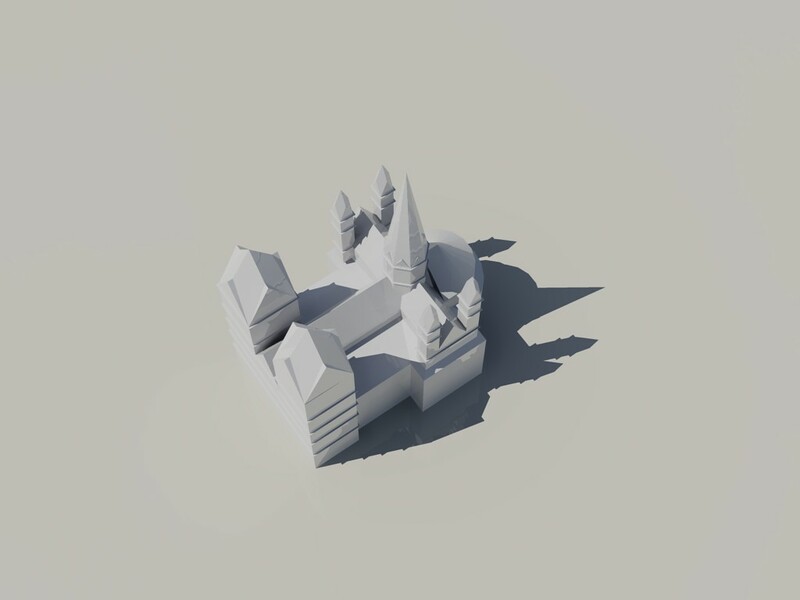 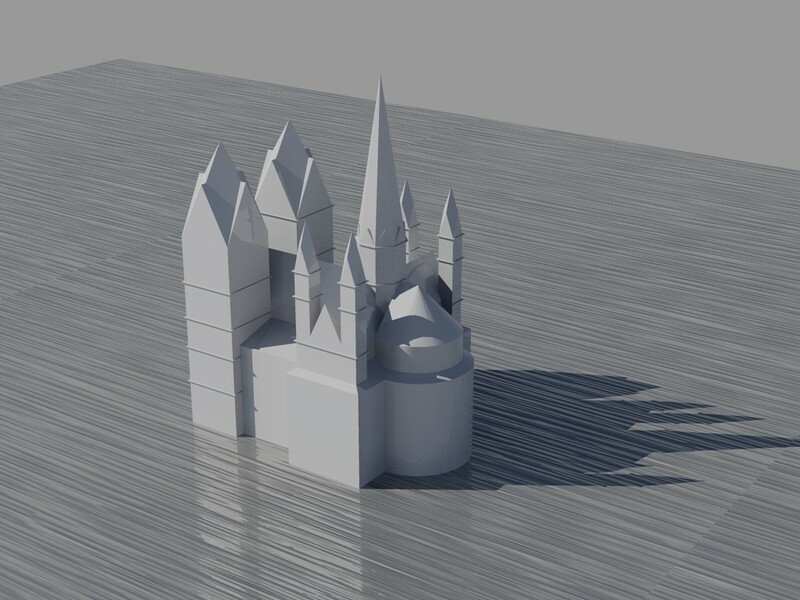 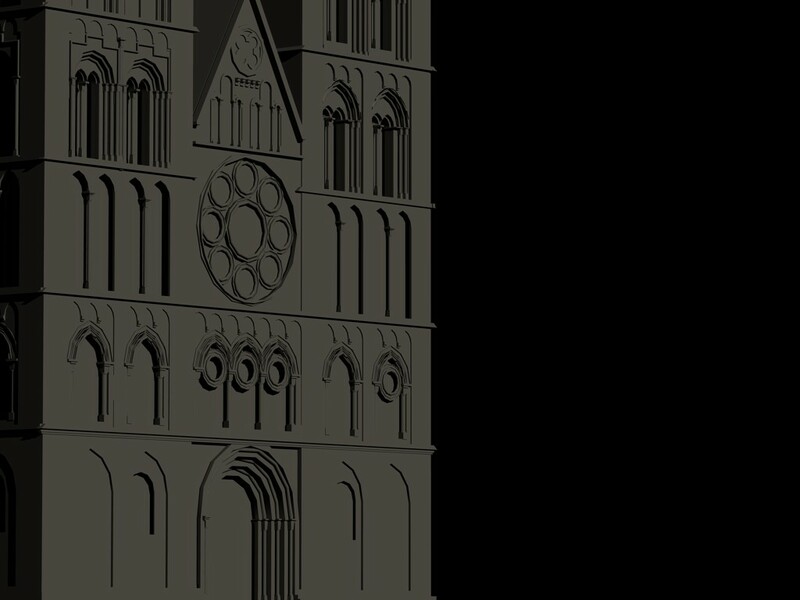 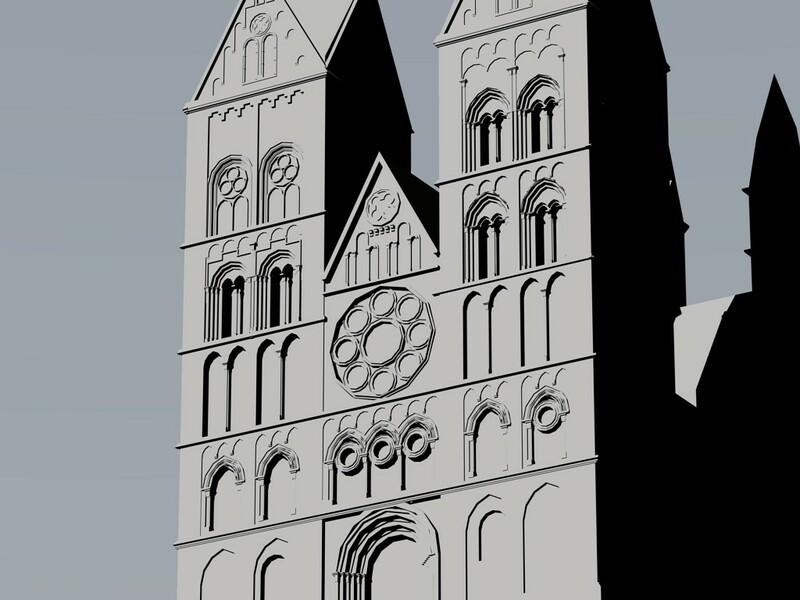 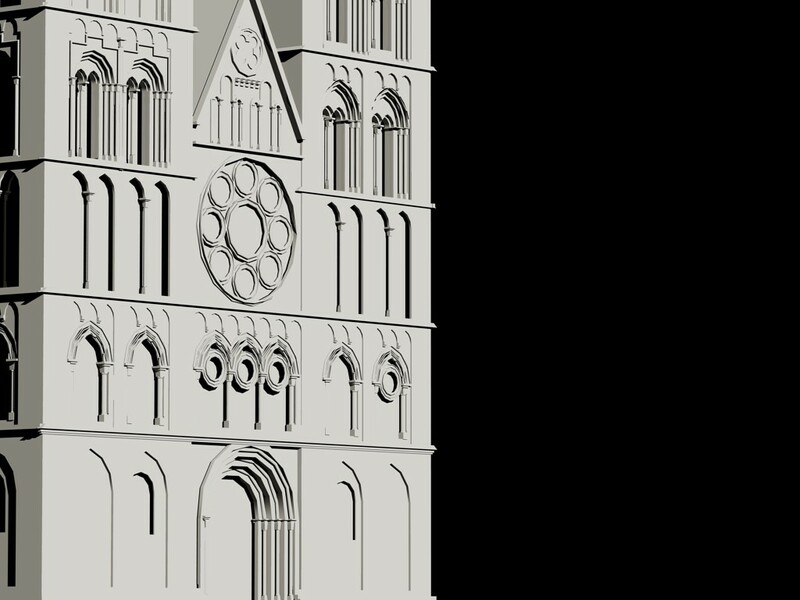 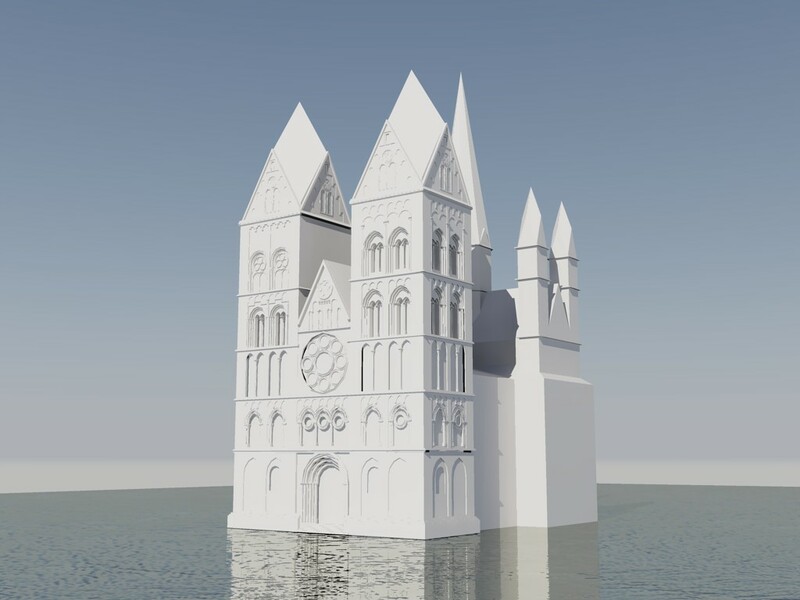 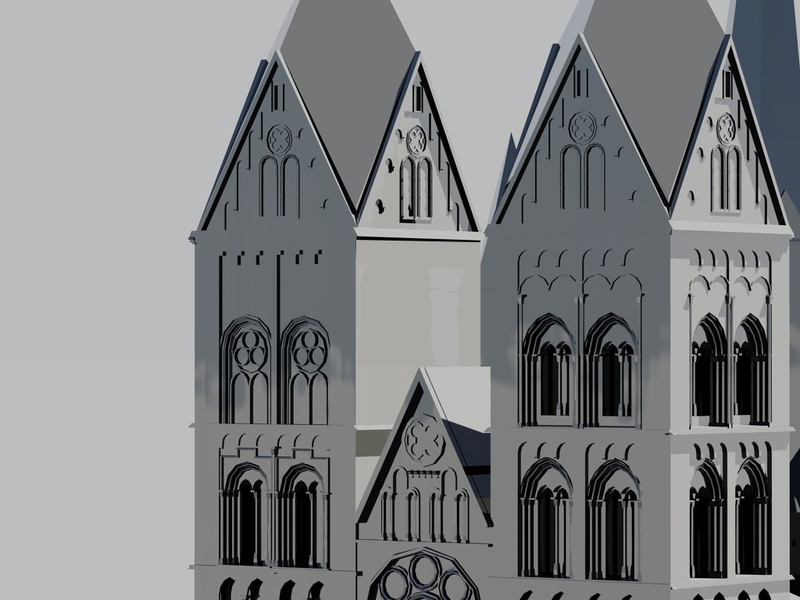 For this second 3D model I decided to go into detail about the main facade of the catedral.During the process I discovered that despite the existing symmetry of the twin-towers, there were rich variations in forms,such as round or pointed arches pilaster strips, small pillars, archivolts, windows and blind arches.